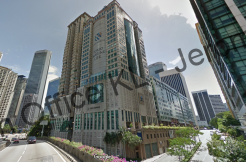 Sunway Geo’s Office Suites are the newest modern office suites in Sunway Resort City. The suites are designed with flexible space planning enabling combination of space suitable for a wide range of businesses. Located directly above Retail Shops, working at Office Suites means benefiting from the ease of an integrated lifestyle where world-class conveniences are seamlessly connected to your work place.